Last week I received a request from one of our customers about the options for automatic deployment of TeamCompanion to end users. 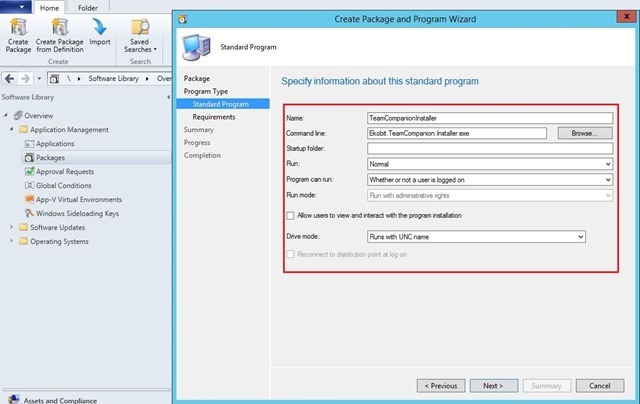 In this blog post I would like to explain and show you how this can be achieved using System Center 2012 R2 Configuration Manager. As always, I’ll lead you through the procedure using lots of pictures :) . Which prerequisite do we need to start our procedure? An Active Directory, the System Center 2012 R2 Configuration Manager, a couple of domain members, and goodwill. The order of the packages is important, so please create exactly in the order stated above. 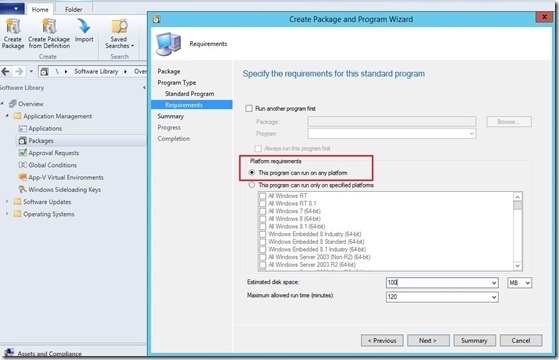 If you don’t know how to create Applications and Packages here is a guide. Do the same for the ReportViewer.msi, Distribute Content and Deploy applications. 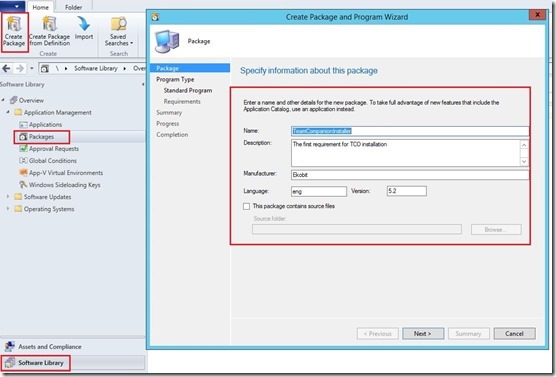 Do the same for the rest of packages, Distribute Content and Deploy applications. 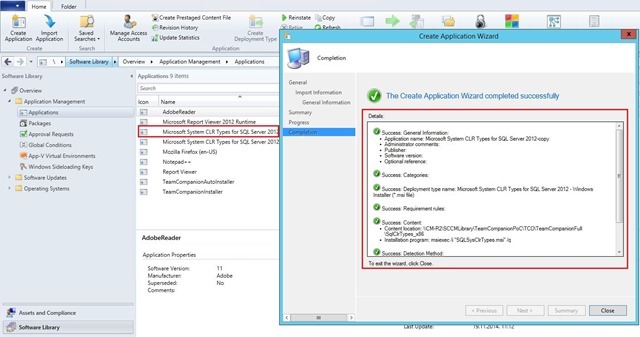 Open the System Center 2012 R2 Configuration Manager console and go to Software Library|Applications and create two applications (Microsoft System CLR Types for SQL Server 2012 & Report Viewer) like in the picture. After you have created Applications, you need to Distribute Content and you need to Deploy applications to the selected clients in the environment. 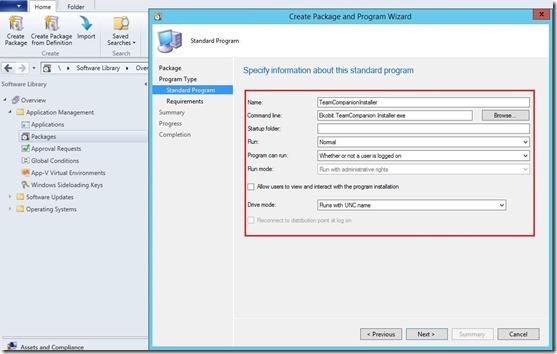 Create three packages (TeamCompanionInstaller.exe, TeamCompanionSetup /S /C and TeamCompanion /S). 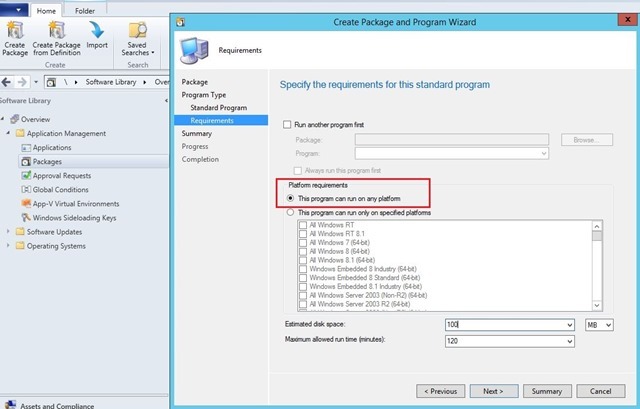 You are finished on the System Center 2012 R2 Configuration Manager side. Let’s look the client side now! 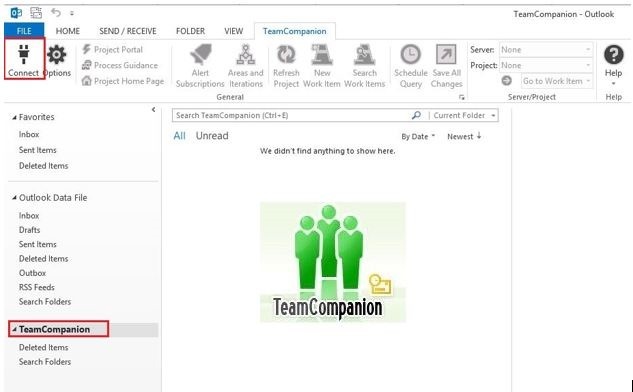 On the client side, Outlook 2013 and Team Explorer 2013 must be installed to be able to push complete package installation of TeamCompanion. Before installing System Center 2012 Configuration Manager you need to create several domain accounts that will be used during installation and configuration of System Center 2012 Configuration Manager. The one of these is the Agent/ClientInstall installation account. 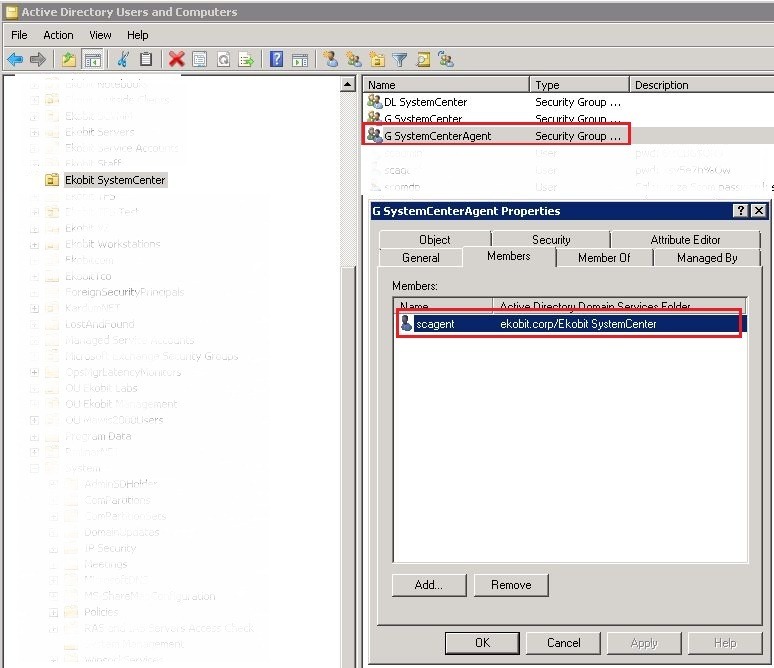 Agent/ClientInstall, a domain user account used when installing the Configuration Manager Client for client push. This user must be a local administrator on all domain computers you want to install the Configuration Manager Client. 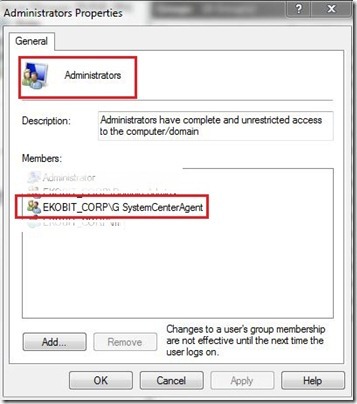 For those who don’t know how to add domain account to Local Administrators Group using Group Policy this is a short guide. Advice: Create a separate Security Group in Active Directory Users and Computers and add Agent/ClientInstall account as a member of that group. 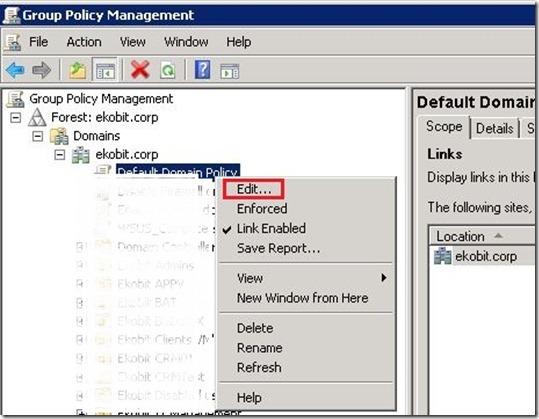 On the domain controller open Group Policy Management console, add to Default Domain Policy, click on Edit. 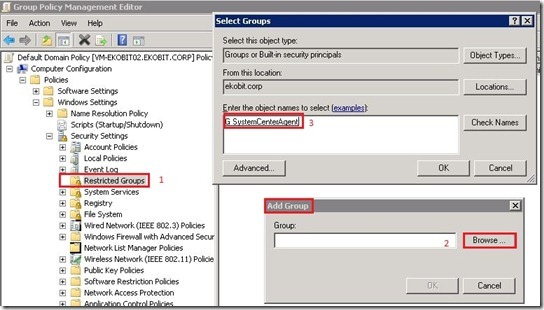 When Group Policy Management Editor appears go to Computer Configuration –> Policies –> Windows Settings –> Security Settings –> Restricted Groups.On the Restricted Group right click and click on Add Group, browse to the your earlier created Security Group and add to the Restricted Group. When you added group you have two different choices of what you want to do with the group you selected. Either you use “Members of this group” or “This group is a member of”. The differences of these two choices I’ll explain in two steps. This is the choice you make when you want to add users to a group. What you select here is what you will see on your computers affected my this policy. 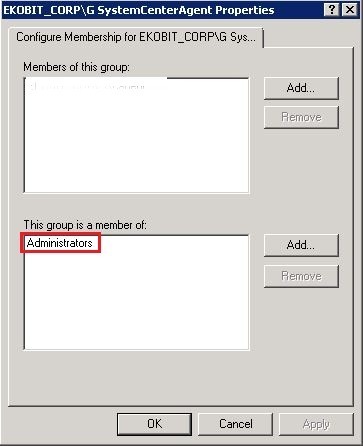 If you want to add a user to the local administrators group on the computers then do not forget to add administrator also or the administrator account will be remove from the local administrators group on the domain computers. This options you can use if you want to add your selected group into another group. This is not something that will override any other configuration you have done. 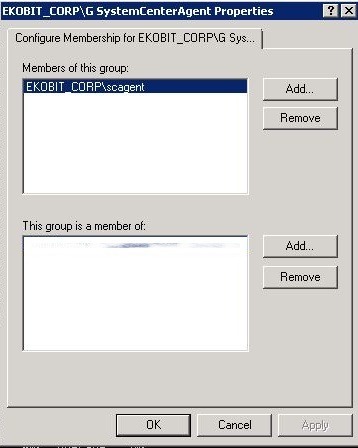 If you in first choice selected “G Ekobit SystemCenter agent” and with this option select that it will be added to the “Administrators” group any other user you might have added to the group won’t be overwritten by this choice. 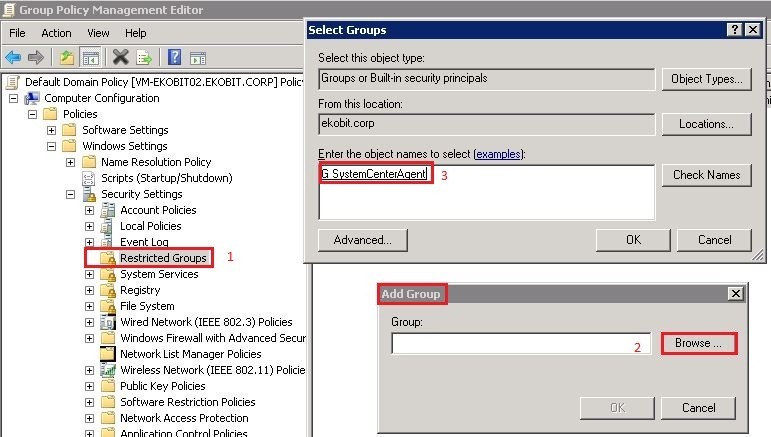 After you are finished with your choice close GPO editor, open command prompt and type gpupdate /force on your domain controller and on the computers side. Check you newly created settings on computers/servers side. Open Manage –> Local Users and Groups –> Groups –> Administrators. 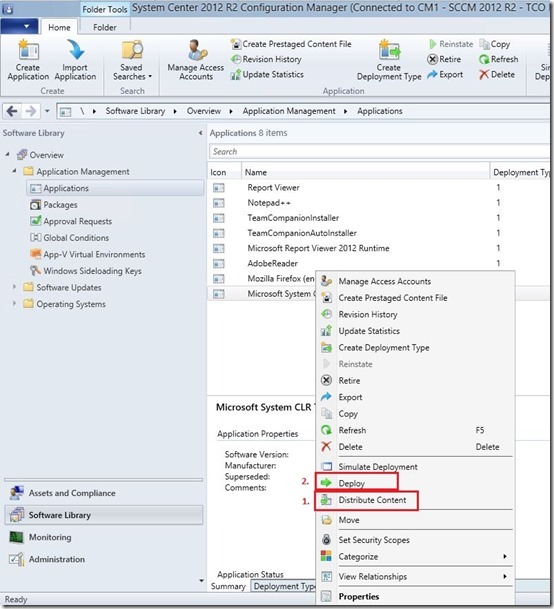 Now we are ready to install Configuration Manager agent on our domain computers/servers. 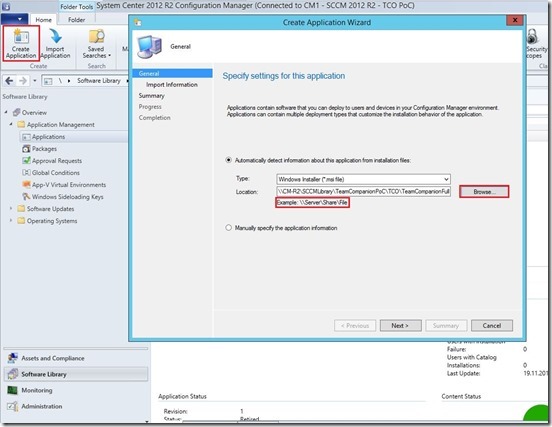 But… before that we need properly to install/configure System Center 2012 Configuration Manager . How to do this, I’ll explain in one of my next posts. 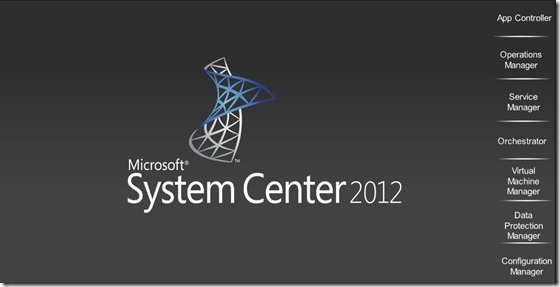 System Center 2012 was released in April. 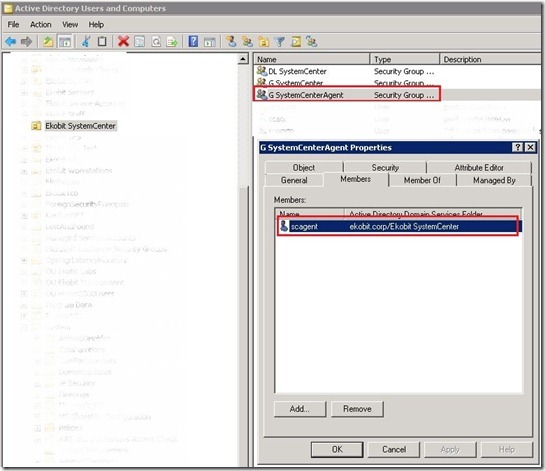 As you probably know System Center 2012 includes seven products; App Controller, Service Manager, Orchestrator, Virtual Machine Manager, Configuration Manager, Operations Manager and Data Protection Manager. Unlike previous versions where you could buy each product separately, in this version you are buying all the products in one. 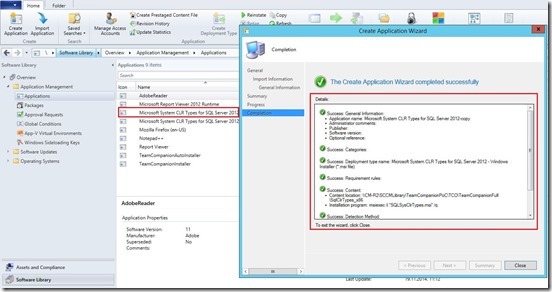 What is in the System Center 2012? 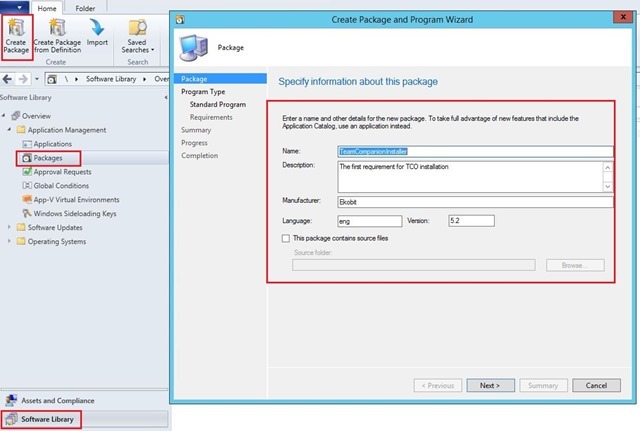 In the next few blog posts I’ll describe each product separately, except Operations Manager (SCOM) and Data Protection Manager (DPM). Expert for these products is my colleague from Ekobit, Ivica Rebić. 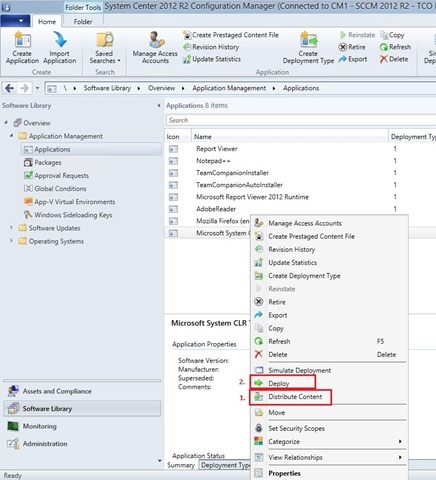 Microsoft System Center 2012 is a comprehensive management platform that enables you to more easily and efficiently manage your IT environments, including your server infrastructure and client devices. 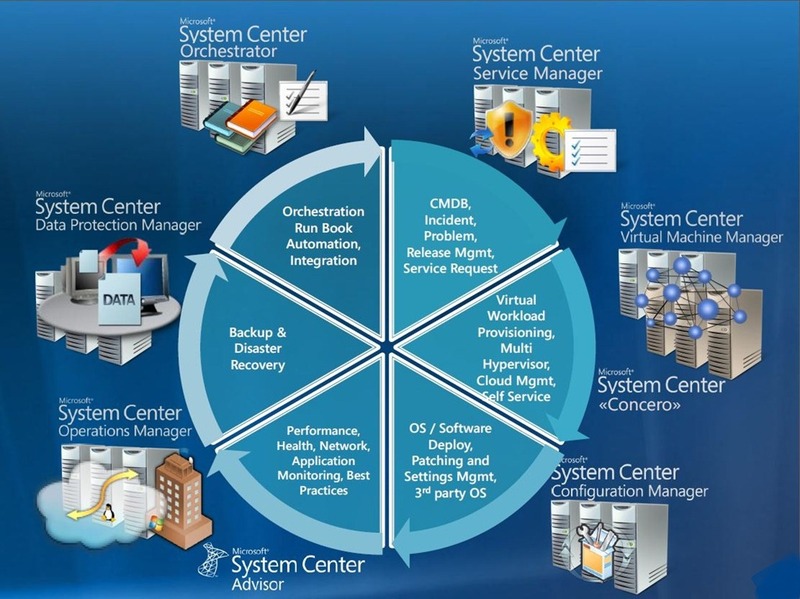 With System Center 2012, you get the most cost effective and flexible platform for managing your traditional datacenters, private and public clouds, client computers and devices. System Center is the only unified management platform where you can manage multiple hypervisors, physical resources and application in a single offering vs multiple fragmented point solutions delivered by competitors. 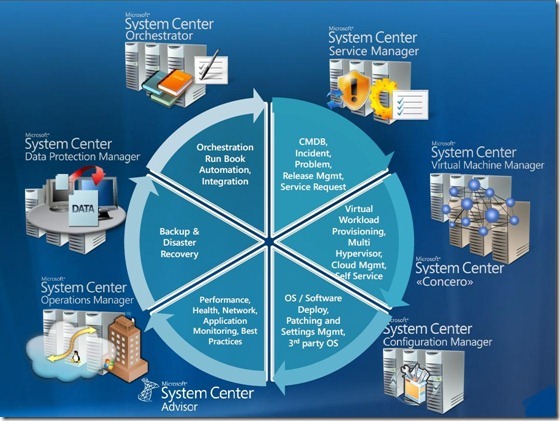 Microsoft System Center 2012 transforms the way you deliver IT and application services to your organization, optimizing resources across public and private cloud, managed from a single pane of glass. Cloud computing is transforming the way enterprises provide and consume IT services with the promise of more productive infrastructure and more predictable applications. Business users see cost saving and flexibility when they consume IT as a Service-a service that they self-allocate through a portal, that scales up or down according to their needs and that they pay for based on use. Datacenter administrators see cost savings by pooling shared resources into a private cloud that serves multiple business users who consume only what they need. Flexibility comes from leveraging public cloud resources to complement on-premises capacity. 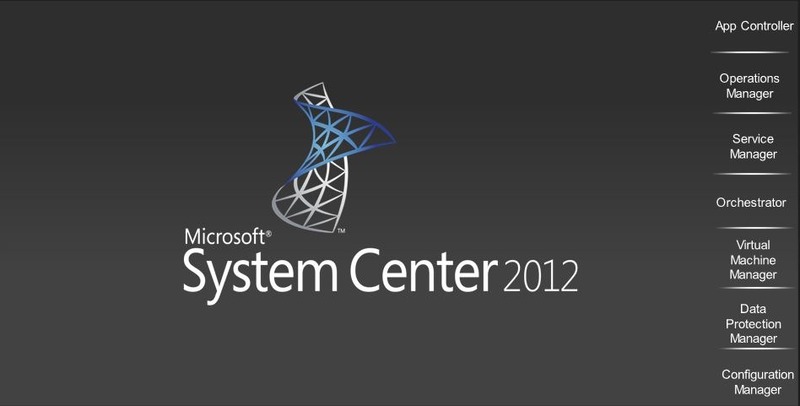 System Center 2012 enables enterprises to benefit from both private and public cloud computing while still satisfying their unique business needs. 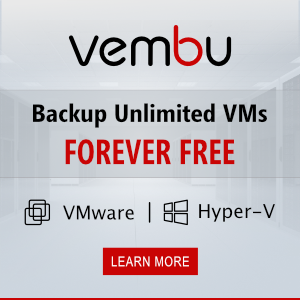 It organizes existing IT assets (network, storage, compute) into a private cloud that is seamlessly integrated with public cloud services-a hybrid cloud you can manage from a single pane of glass. 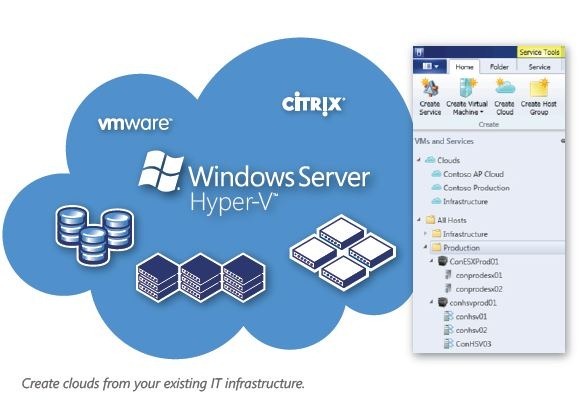 * Manage different hypervisors centrally from a single pane of glass with support for Windows Server Hyper-V, VMWare vSphere and Citrix XenServer. * Monitor Windows Server, Sun Solaris and various Linux and Unix distributions. * Integrate toolsets from HP, CA, BMC, EMC and VMWare into automated workflows.